Low voltage transformers, multi tap transformers, and powered wall phone jacks. 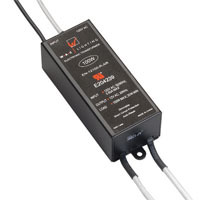 Low Voltage electronic transformer designed to be used as a replacement part for factory installed transformers. Transformer may be safely loaded to 100% of stated capacity.